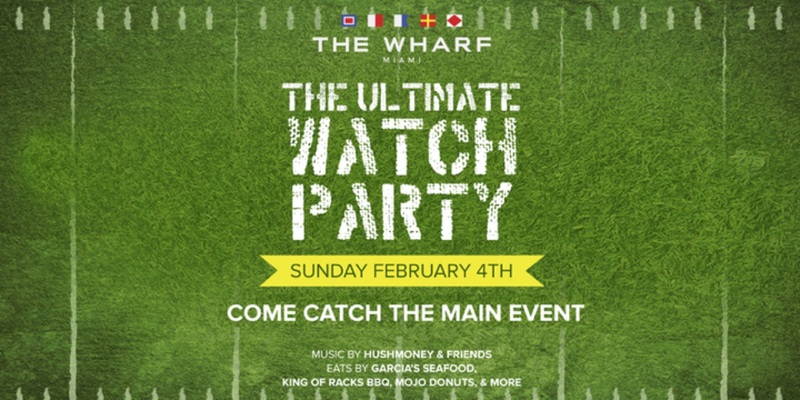 This Sunday while the New England Patriots and Philadelphia Eagles battle it out up in frigid Minneapolis, come to the Wharf for a watch party in the South Florida sunshine. Come out and enjoy the big game and bring your friends, family, and even your dogs! Show your team spirit by wearing your favorite teams colors and jerseys. The event is located at 114 SW North River Drive, just a few blocks from Brickell and situated on the historic Miami River. The Wharf is an open-air special event space that aims to further shape the city’s dynamic local culinary and cultural scene. 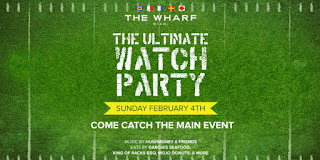 The Wharf boasts 30,000 square feet with plenty of room for food trucks and live music. It also features five retail huts and three bars, with lounge seating on a wooden deck as well as conversation and dining areas along the river for those looking to enjoy happy hour and a great atmosphere with friends. The Wharf also offers an impressive amount of dockage space for those arriving by boat. Children & leashed dogs are welcome before sundown. Adults must accompany guests under 21. THERAPY-IV, a Miami deep sea fishing boat service, brought this update to you. This charter provides all of their clientele with a high-end deep sea fishing experience. With their luxury yacht, exceptional customer service and experienced and professional captain and crew, visitors can rest easy, they will not only have a memorable fishing experience but will also have the pleasure of visiting the best spots off the coast of Miami and Biscayne Bay. To schedule a trip or to learn more about Miami inshore fishing, contact 305-945-1578.